As of the last few months or so I have been finding myself becoming obsessed with finding more budget friendly mascaras. I was getting a little bit bored of using the same one over and over again. For those that are interested my ultimate favourite mascara for the last year has been the Maybelline Lash Sensational Luscious Mascara. There's just something about it that made me keep repurchasing it. 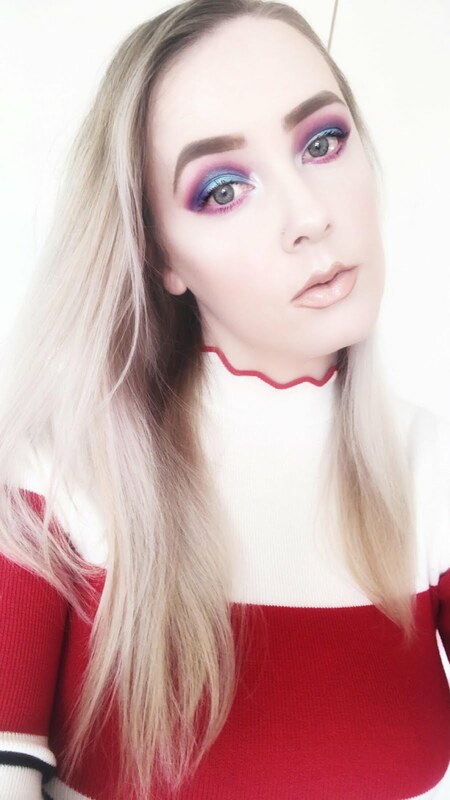 Perhaps it was the curvature of the wand that made it easier to get to the teeniest of lashes or maybe it was the way it made my lashes look super fluttery and dramatic. It was everything I wanted in a mascara, or so I thought. Lately I've been loving the effect of mascara on my bottom lashes as well as the top and the Maybelline mascara just didn't do anything for the bottom lashes at all, it was pretty much a disaster. 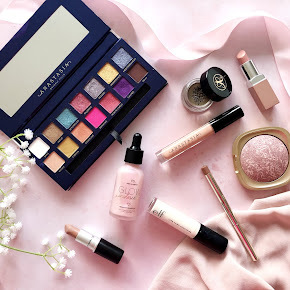 However since starting my search for more budget friendly mascaras I have come across one that is absolutely perfect for my bottom lashes thanks to the team over at False Eyelashes. Granted it isn't the best on the top lashes due to the lack of volume it gives but I really couldn't care less. It is so good! Let's introduce you to the L'Oreal Telescopic Mascara in Carbon Black. First of all it is so black, like the blackest of black, which I love! It applies wet but dries quite quickly. I had absolutely zero problems with smudging having tested it out in the rain numerous times. Each time I've gone to look in the mirror it's still there very much in place. As for the wand it is super long, straight and thin with a liiittle bit of flexibility to it. Now that might seem like it's difficult to use but it is surpringly easy to control. The wand separates every lash with ease, avoiding any clumping and I can get to every single little lash, even those teeny ones hiding away in the corners. It is fabulous! It adds a whole lot of length too! It makes my eyes look so much wider which is nice as I find my eyes look so much smaller without mascara. As I mentioned before it doesn't add much in terms of volume but I quite like the drama to be on the top lashes rather than the bottom. I absolutely love it! 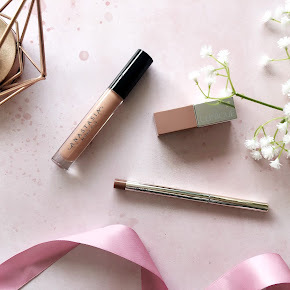 If you're looking for a new budget friendly mascara for the bottom lashes then perhaps you may enjoy this. I cannot fault it in the slightest. At only £10.95 it is so affordable. I shall purchase once I have run out for sure. 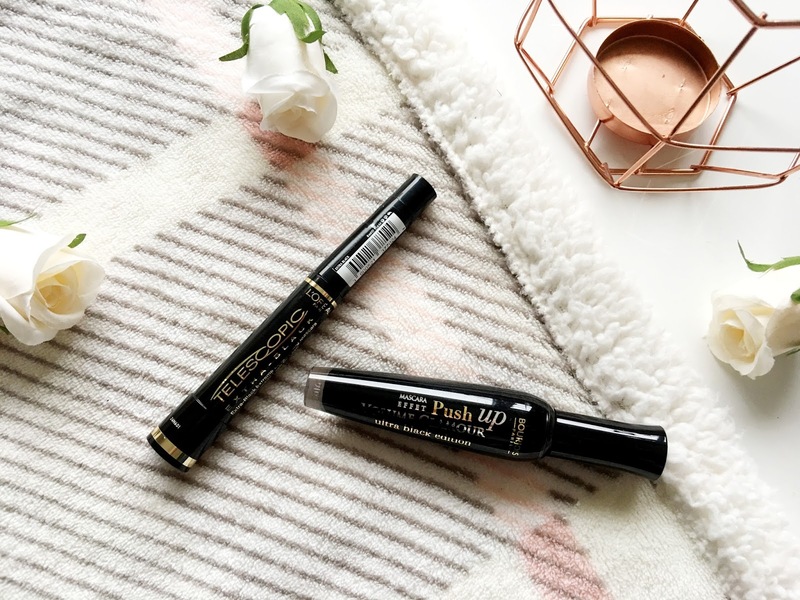 As well as trialling the L'Oreal Mascara I have also been using the Bourjois Volume Glamour Push Up Mascara in Ultra Black. I have never tried a Bourjois Mascara before so I was intrigued to see how it worked for me, and if it was as really good as it sounds. Unfortunately I found it very hard to work with. The wand is quite big and clumpy which makes application a bit messy in my opinion and it doesn't hold a curl. In fact my lashes looked quite straight and I found myself having to use another mascara on top of it to get the look I desired. I am so gutted I didn't like it, however that won't stop me trying another Bourjois Mascara in the future. I want to see what else they have to offer. If you do fancy giving it a go yourself it is just £8.95. I may not have liked the Bourjois Mascara but the L'Oreal Telescopic Mascara has become a firm favourite in my makeup routine. I am so glad that I've discovered it thanks to those over at FalseEyeLashes. I've thoroughly enjoyed trialling them, and in the process I have found one I love. 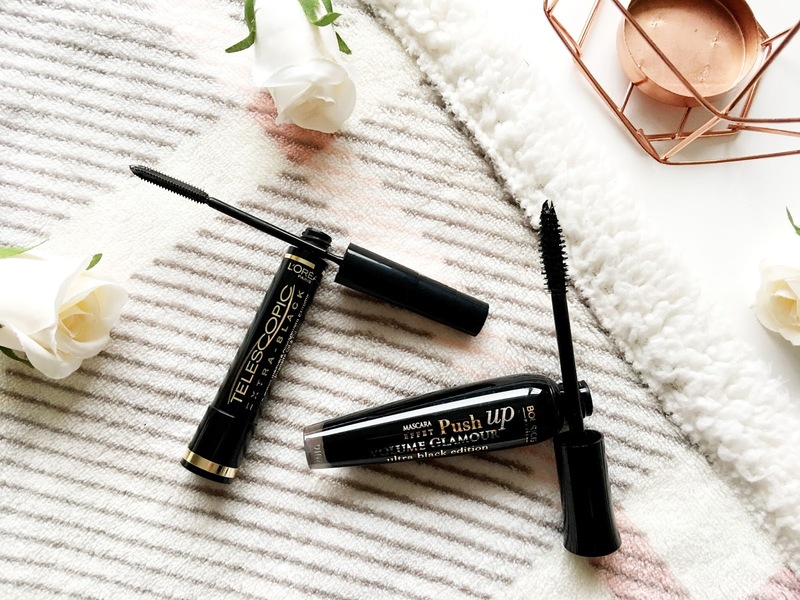 If you're thinking of purchasing one or maybe both of the above then head over to False Eyelashes where they don't just stock mascaras but false eyelashes too(obviously!) 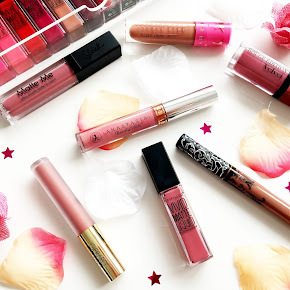 from some fab brands such as Ardell, Eylure, House of Lashes and so much more! Have you been trialling some new mascaras lately? What is your favourite?